Red River College and Accutech Engineering Inc. are proud to announce a new scholarship for students from Nunavut who are attending Engineering Technology programs at RRC. 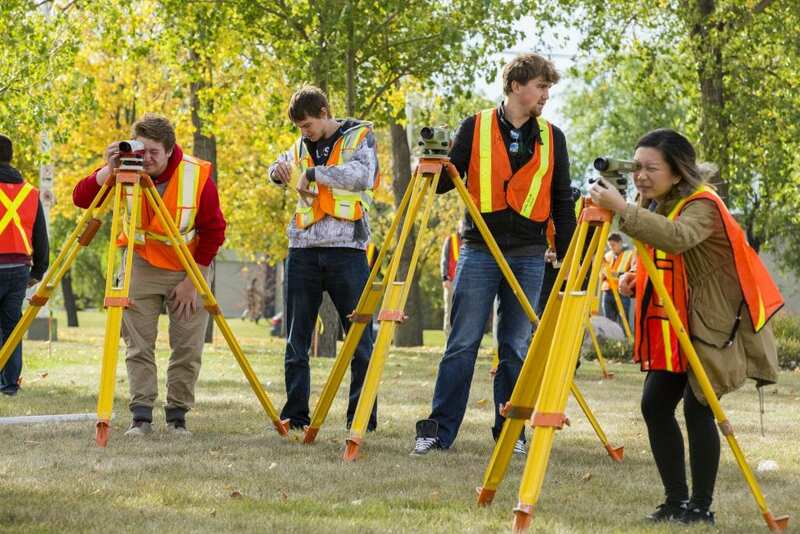 The annual $3,000 award will support one full-time student per year who has relocated to Winnipeg to pursue Civil Engineering Technology (shown above), Electrical Engineering Technology or Mechanical Engineering Technology. The award is Accutech’s way of giving back to the people — and future technologists — of Nunavut, recognizing that educations in Science, Technology, Engineering and Math (STEM) have a positive impact on capacity-building and self-reliance within the Territory. Accutech believes that providing STEM training to develop homegrown professionals is an important step in helping Nunavut residents address the challenges within their Territory. As such, priority will be given to Nunavut Land Claim Beneficiaries, to recognize the critical role that Inuit people play in the future of Nunavut. Preference will also be given to students enrolled in their first year of studies, to help ease the stress associated with relocating to Winnipeg to pursue a post-secondary education. The deadline to apply for the new award is Sept. 15; those interested should submit a general application accompanied by a short write-up outlining their career goals and reasons for choosing this career. General applications can be found here. In the 2017/2018 academic year, RRC provided 3,881 awards, bursaries and scholarships, totaling $2,982,113, to 1,840 students — an increase of 69.62% from the previous year. The College hopes to see a similar increase in the amount awarded in 2018/2019, and encourages all eligible students to apply. A list of all available scholarships and bursaries can be found here.